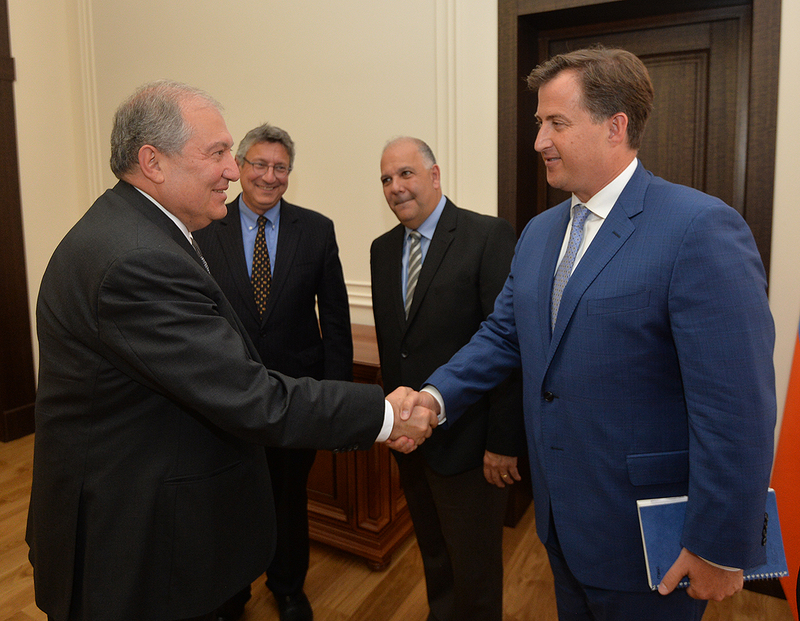 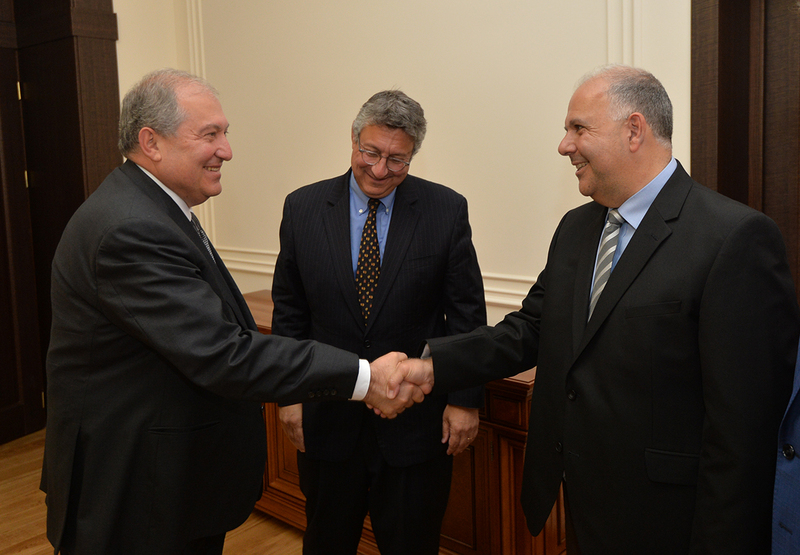 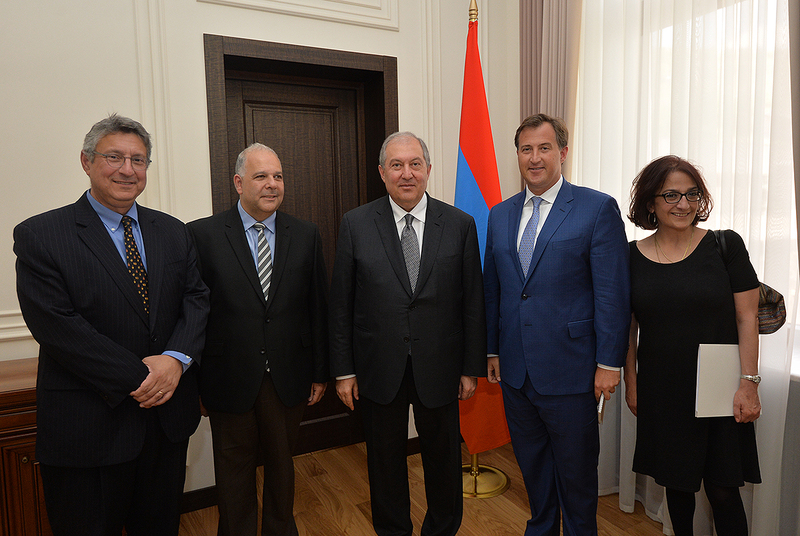 President Armen Sarkissian received today the Co-Chairs of the Armenian Assembly of America Van Grigorian, Anthony Barsamian, Executive Director of the AAA Bryan Ardouny, and AAA Regional Director Arpi Vardanian. 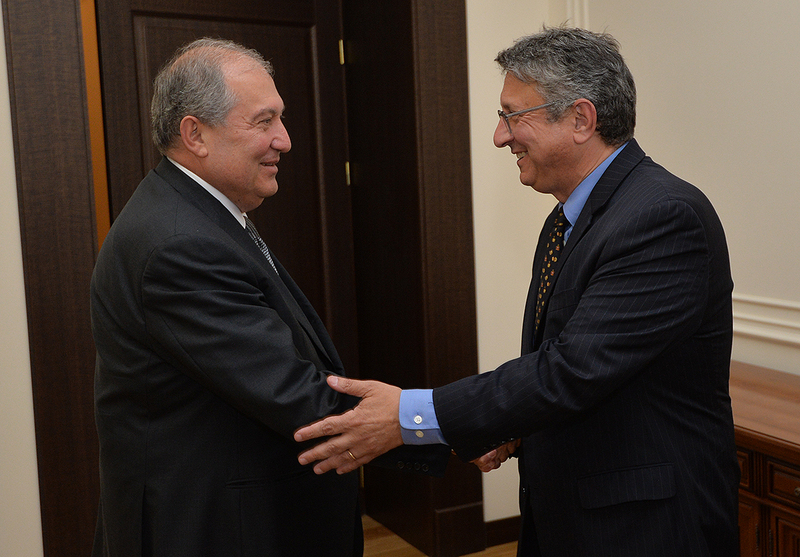 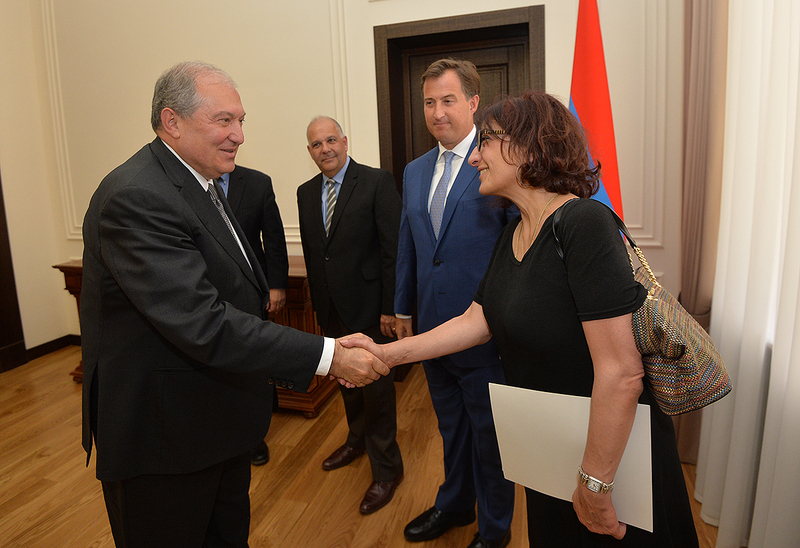 Welcoming the guests in Armenia, President Sarkissian hailed and stressed the importance of the activities of the Armenian organizations at the United State which work constantly on the issues of Pan-Armenian importance. 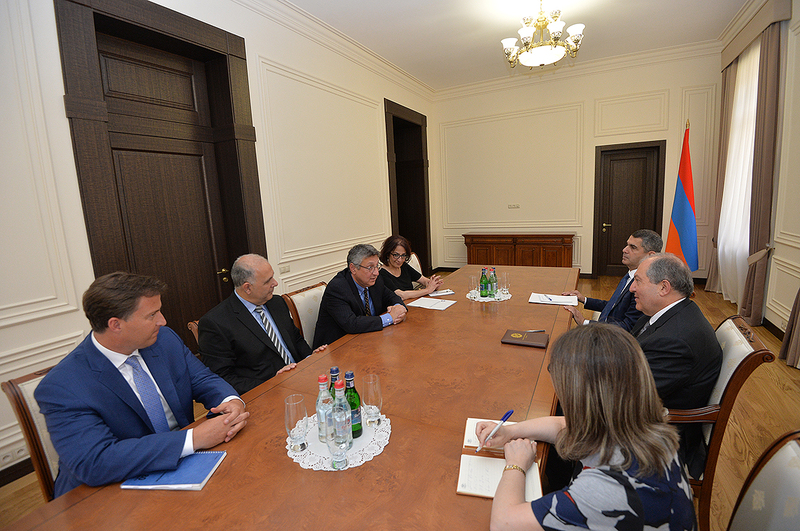 The interlocutors exchanged views on the issues of the all-Armenian agenda, opportunities to find new avenues for their resolution and possibilities to make works more efficient and target-oriented. 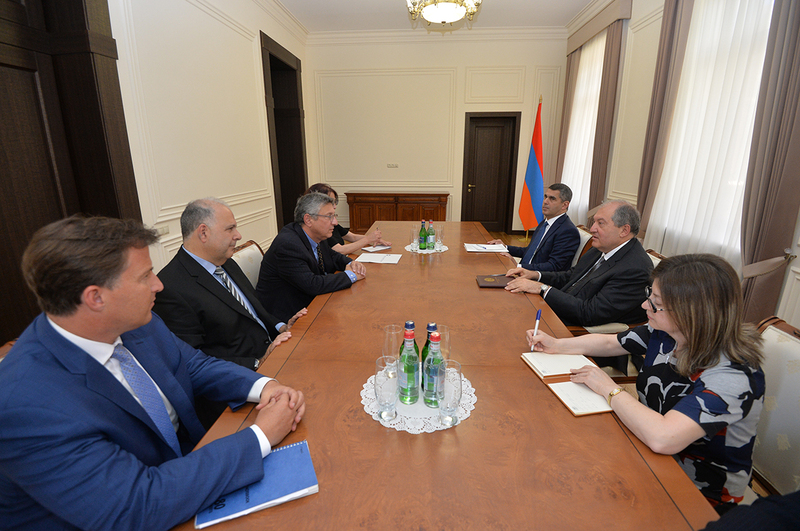 Representative of the Armenian Assembly of Armenia stated proudly the peaceful nature of the fundamental changes, which took place in Armenia, and President Sarkissian’s personal significant and balanced role in the process.